As of today, it is clearer to customers of Storegate that all files placed with the company are stored in Sweden, protected by Swedish law. Storegate is updating the company visual identity, which among other things brings a new logo. The new logo is part of a larger effort where we want to be clear about who we are, since this affects what we do. Neutrality and integrity are traditional Swedish values and they harmonize with what we stand for – secure storage with high integrity, and we think a blue and yellow cloud illustrates this well. The policy is our promise, and written declaration, of responsibility on how we handle the information you choose to share or store with us. It explains how we, on all levels, meet and excel the new policies from EU regarding, for example, involvement of third countries. 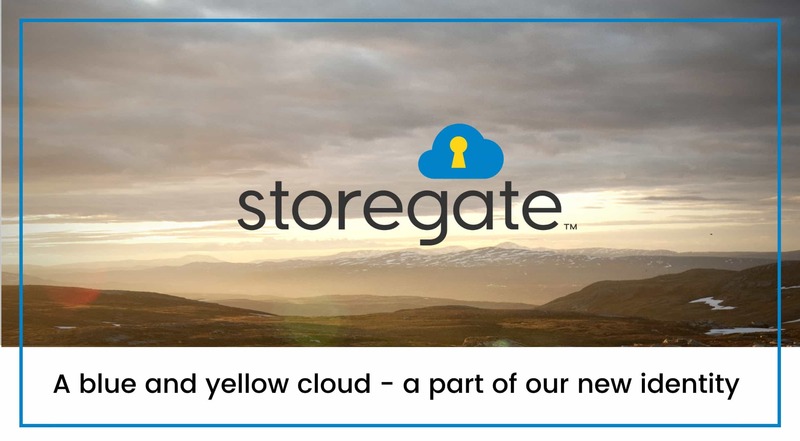 In February 2003, Storegate launched its first service for secure storage of digital information in the cloud. Storegate proudly presents a new Windows Phone app! The app has a fresh new look and provides automatic backup of your photos on your phone.